Amazfit has been busy including to its price range wearable empire, with the Amazfit Verge, a supercharged smartwatch the contemporary addition to the own family. Doing a fairly respectable influence of massive, chunky smartwatches just like the LG Watch game there’s an impressive list of specifications to look ahead to at the Verge. For $159, the Amazfit Verge has a slew of useful capabilities, like the capability to make smartphone calls via the watch (through Bluetooth connection on Android), NFC bills, and an Alexa integration that’s coming at the cease of this year. The watch has a 1.3-inch AMOLED display, five days of battery life, cellphone app notifications, and onboard tune playback. however, it runs on Huami’s proprietary software, that means it doesn’t run Google’s Wear OS. According to Fast Company, the watch interface was made in partnership with visual effects company Territory Studio, which has worked on creating all manner of futuristic smartphone displays seen in sci-fi movies and Marvel blockbusters. The studio worked with Huami on creating a visual interface that could portray tracked data, like heartbeat RPM, steps, and calories. There’s also a dual core 1.2GHz processor, 512MB of RAM and 4GB of storage on board. All classic Wear OS specs. And for those still stinging from Apple not managing to add to its 18 hours of battery life, Huami says that the Amazfit Verge lasts five days. Impressive. There’s also NFC built-in for payments with AliPay and UnionPay signed up – although the specifics of Western services/banks that it will work with aren’t clear. It doesn’t run on Wear OS, which is the real shame, and instead uses its own custom OS. That OS means a built-in Xiao AI voice assistant. Amazfit Verge is available to purchase now on Amazfit.com for $159.99. 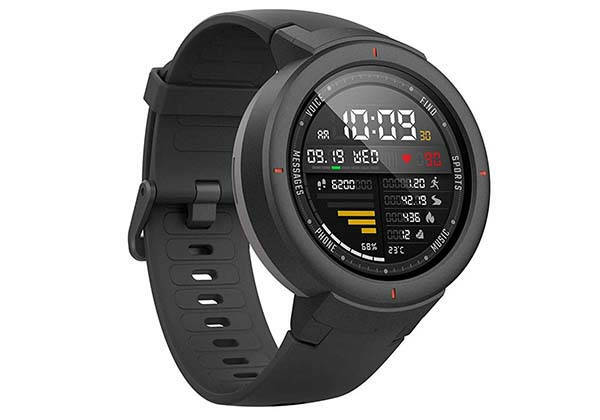 If you are interested in this new smartwatch and want to grab it, then jump to Amazon for more detail.